Product prices and availability are accurate as of 2019-04-23 08:36:51 UTC and are subject to change. Any price and availability information displayed on http://www.amazon.com/ at the time of purchase will apply to the purchase of this product. What is a WubbaNub? It's a stuffed animal and pacifier combined into one soft, soothing toy. 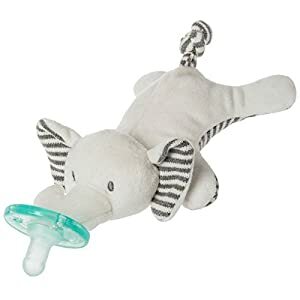 6-inches long, this animal friend makes it easy for baby to grasp and manipulate the pacifier, and is easier to keep track of than a soother on its own. 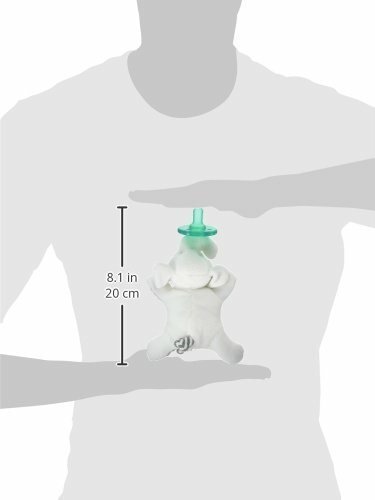 Recommended age of use: 0-6 months and/or babies without teeth. Mary Meyer is an environmentally conscious company and has been making toys that are safe and fun since 1933. Mary Meyer has received numerous awards including multiple toy of the year awards. Known for using unique, beautiful, and incredibly soft fabrics, Mary Meyer continually strives to design extraordinary products of outstanding quality, all the while keeping an eye on customer service and value.